Win more motions with Clerk. 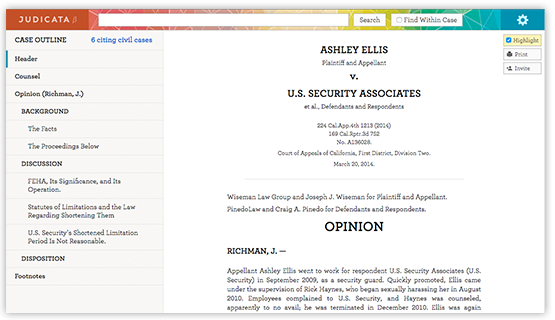 Lawyers can now uncover intelligent insights to help them attack or improve a brief. Get actionable insights in seconds. 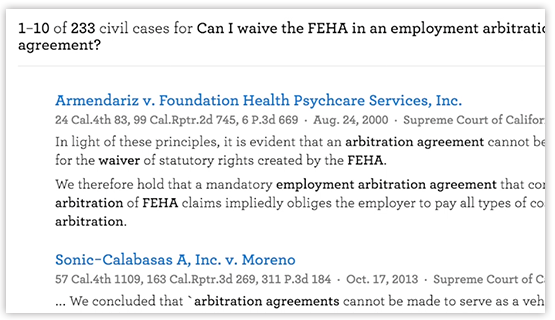 Judicata is ushering in a new era of legal search that is unprecedented in its precision, relevancy, and simplicity. Find out how you can dramatically save time and build better arguments. Wasted hours and unnecessary expenditures are unfortunately the status quo. Results are too broad, navigation is not intuitive, and many hours are spent searching endlessly. We’ve built our research platform from the ground up, developing technical and legal intelligence to deliver results that are far more precise, contextual and comprehensive. 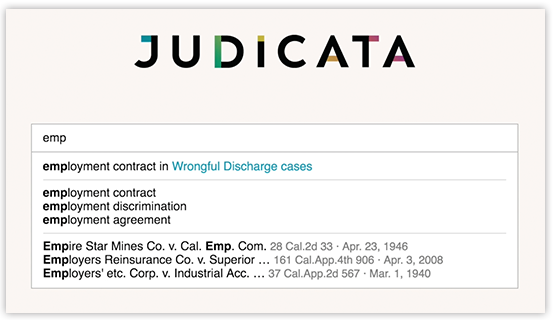 See for yourself – request free access to Judicata now. Improves your search by providing suggestions for common phrases, spelling corrections, specific case names, and filters. Consistently delivers the most relevant results first – providing helpful case excerpts that enable you to quickly zero in on exactly what you’re searching for. 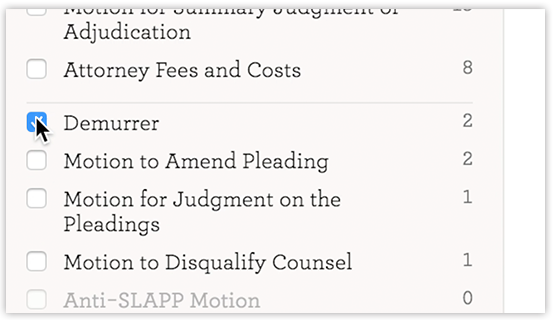 Refine results based on key case attributes including Appealing Party, Cause of Action, Court, Date, Disposition, Judge, and Procedural Posture. Displays a navigable case outline clearly and cleanly. Delivers faster results and more relevant responses to your queries, keeping you efficient and at ease. Judicata was founded on a powerful belief: technology can do more to deliver critical information that helps attorneys achieve successful outcomes for their clients.